In the hours before the sun comes up, a soothing calm is felt across the world. On New Year's Day, while many are still partying, people in Japan are out in the crisp, fresh air. Meaning "first sun" in Japanese, Hatsuhi Sunrise involves waking up before dawn to watch the first sunrise of the New Year. An activity to enjoy with family and friends, this annual tradition is followed by a big hearty breakfast. Sweden is full of serene mountain landscapes and elegant design, so it makes sense that there is a culture of regular breaks to appreciate it all. In its simplest form, Fika is about taking a break with a delicious cup of coffee, but on many levels it’s so much more. Fika isn’t so much about just ordering a cup of coffee and swigging it down, it’s about taking a moment from the chaos to enjoy the coffee, and everything else around you. Feel the warmth of the coffee. Savour the pastries. Enjoy the moment before it's gone. 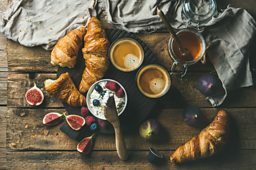 You can fika to escape the spreadsheets at work, fika with friends or fika by yourself, for some precious moments of self-reflection. Much like hygge in Denmark, it is associated with feeling cosy and content, and goes well with lagom, another Swedish tradition, which focuses on the virtue of moderation and balance. 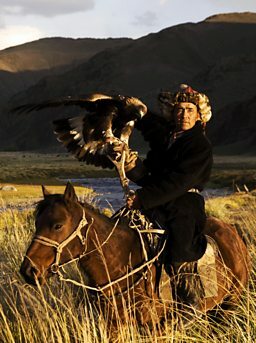 The nomadic cultures of the Altai Mountains are responsible for the legacy of many traditions. 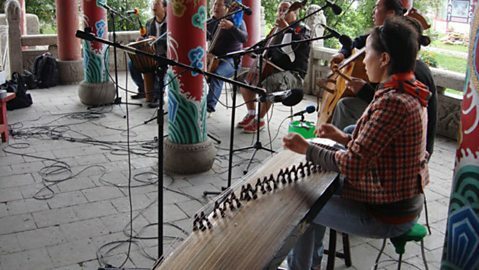 Among them is throat singing, or Khoomei (pronounced hoo-may). Mostly associated with Mongolia, but also practised in neighbouring Tuva and Siberia, throat singing is a type of overtone singing which sounds as though the performer is producing two vocal lines simultaneously. Apprentices are chosen to train with master throat singers: they're taught breathing techniques to help them produce these unique sounds. 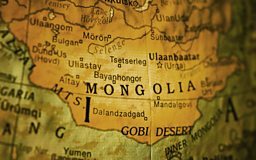 In Mongolia Lucy meets the group Khusugtun who perform traditional throat songs in exhilarating contemporary arrangements. It’s often easy to forget that our natural resources rely on a delicate balance of natural elements. Should temperatures rise or rainfall decrease, then significant problems can ripple across the globe. In response to this, Peruvian culture has developed a tradition of thanking the Earth for supporting such bountiful harvests. Pagapus is about paying respect to the spirits in control of nature. Items such as food, clothing and silver are buried in the Earth as an offering to the spirits. 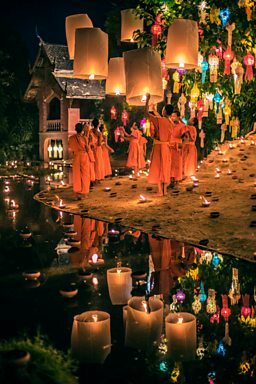 Each year the rivers of Thailand are lit up by the flames of tiny candles nestled inside elegant floral baskets, called krathongs. Held on the 12th lunar month of each year (often in November), this festival of light is now popular with both locals and tourists alike. Hand-made floral baskets used to float candles and incense during Loy Krathong. The festival of Yi Peng occurs at the same time as Loy Krathong. It is celebrated in the northern regions of Thailand and primarily involves brightly coloured lanterns. 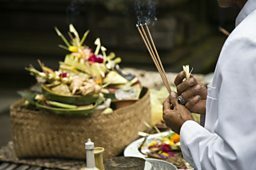 Part of the national Hindu celebration for the Saka New Year, Nyepi requires silence from 6am to 6am the following morning. Accompanied by meditation and fasting, those partaking also refrain from work, exercise and travel. Due to the lack of activity the streets of Bali are curiously empty. Proof that silence is powerful. The Czech Republic has so much love to give that an entire day is devoted to the warm, fuzzy feeling. It was inspired by the poem Maj, by the Czech poet Karel Hynek Mácha. Meaning "May" in English, May 1 is now a national bank holiday for celebrating love. One of the romantic rituals involved is a pilgrimage to a statue of Macha in Petřín Park, Prague. Couples can be found kissing in front of the statue – this is said to ensure their love will last. The podcast that goes slow... very slow. Be it the sounds of bells ringing, monks enjoying silence, or a birdsong in the countryside. Take a break with Slow Radio. Spending time in nature is an integral part of Norwegian life, and friluftsliv is largely behind this. Meaning ‘free air life’, the term is about finding calm in nature and the outdoors. The word was first published in the poem Paa Vidderne, by playwright Henrik Ibsen, and is now part of life in Norway. Carry on the peaceful traditions by listening to Slow Radio. How do you duet with a nightingale?